The Colorado Rockies were two outs away from the National League West falling into complete chaos, but DJ LeMahieu was not going to allow it. With one on and one out and the Rockies down 4-3 to the Arizona Diamondbacks, LeMahieu connected for an opposite-field shot which gave Colorado a 5-4 victory and a 1.5-game lead over the Los Angeles Dodgers for first in the West. The West is still far from decided though as Arizona trail the top spot by 3.5 games. Elsewhere around MLB insanity still remains. 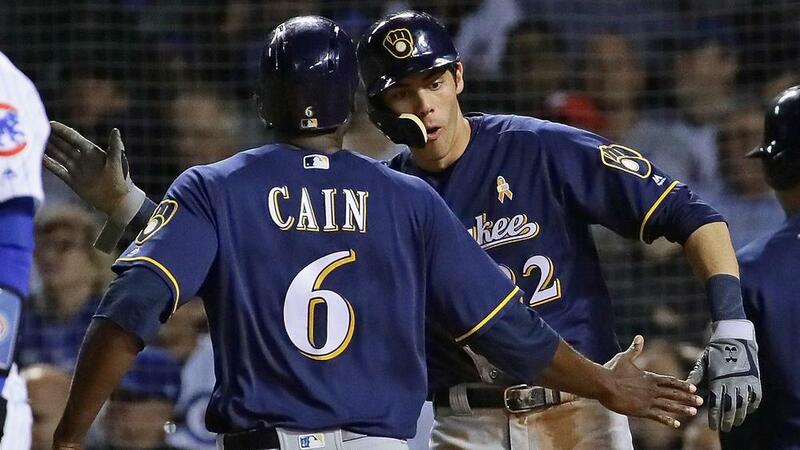 The Milwaukee Brewers dropped the Cubs 5-1 to win their seventh series in a row and cut Chicago's lead to one game in the National League Central. In the American League East the Red Sox look to have the division locked up as the Yankees continue to allow the Athletics to fight for home-field advantage in the wildcard game. The Yankees lost to the Twins while the A's beat the Orioles to cut New York's lead to one game in the wildcard race. Twins starter Jake Odorizzi took a no-hitter into the eighth and finished allowing just one hit and one run in 7.1 innings of a 3-1 win against the Yankees. David Price threw seven shut-out innings in a 1-0 win over the Blue Jays. Boston won their 100th game for the first time in a season since 1946. Marlins reliever Ben Meyer allowed six hits and seven runs in 0.2 of an inning to the Mets. Astros outfielder George Springer spends most of his time in center field, but he showed off his glove in right with a fancy catch in a 5-4 win over the Tigers. The Cubs may have lost a game in the race for the National League Central title, but it was not for lack of effort from Albert Almora. Clayton Kershaw (7-5, 2.42 ERA) will try to get the Dodgers back to within a game of the top spot in the National League West once again. He takes on Austin Gomber (5-0, 2.93) of the Cardinals who hopes to help St Louis gain ground on the Brewers for the second wildcard spot.